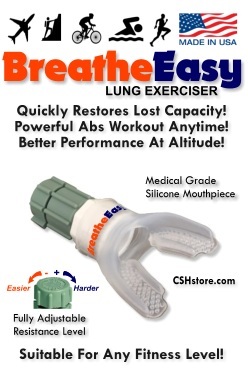 BreatheEasy Lung Exerciser - Simply Affordable! It Works! We didn't see this one coming! A friend of our company raved about the benefits of exercising the lungs but the device he uses is $130. Since we are frugal, we went searching for an affordable solution as that's the nature of our company. 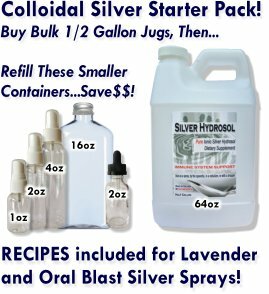 Innovative yet affordable products that work! Introducing our BreatheEasy Lung Exerciser. Simple elegance. It does what it needs to do and offers you an adjustable, portable and durable device you can use anywhere, even while multi-tasking! Fits in a purse or pocket. The first benefit is pretty much immediate. If your lungs have closed up a little or a lot from age or lifestyle, you may enjoy a significant increase in lung capacity. You had this lung capacity the whole time but with normal breathing, part of the lungs weren't filling with air. A powerful abdominal workout when exhaling! The second benefit is the powerful abdominal exercise you'll receive. You literally can do stomach crutches without laying down on the floor. The adjustable restriction to the airflow is something you can "push" against as you try exhale as hard or as little as you want. You can even twist your torso to work the oblique muscles harder. When inhaling, you work the muscles in reverse, taking a long draw of air, pausing momentarily, then forcefully exhaling. The BreatheEasy Lung Exerciser is FULLY ADJUSTABLE to offer anyone of any fitness level a vigorous workout. The BreatheEasy Lung Exerciser is "Made in the USA"! The mouthpiece is Made in the USA from Class VI, Healthcare Grade Silicone Rubber and is FDA approved for skin and food/water contact. We purchase these directly from the manufacturer in New England and assemble the device onsite, then ship to you! Results that can be felt and measured! We use this product daily and can personally attest to the joy felt being able to breathe deeply. Very deeply. It's a transformational device! Did you know that you can measure your lung performance using a $20 device found on eBay? It's called a Pulse Oximeter and measures oxygen levels in the body. Try it out before and after to see what happens. We were thrilled to see that what we sensed was true actually was true. We could breathe easier and measure the change with the Oximeter. First, this device isn't for the treatment or cure of any disease. It simply opens up the lungs and exercises the abdominal muscles and diaphragm. Think of it as blowing up a bunch of balloons or playing a trumpet, housed in an incredibly compact and durable device! Buy 3, Get 1 Free! Affordability for the whole family! Anyone that has browsed our product offerings in very familiar with our desire to sharply discount bulk purchases. This latest offering is no different! Unlike other exercise equipment that is easily shared like dumbbells, this lung exerciser is used in the mouth. For hygiene reasons, it's obvious and necessary that each person has their own. It's our pleasure to offer this discount to help make it easy to share! To take advantage of the Buy 3, Get 1 Free offer, simply choose that selection using the drop down menu next to the Add To Cart button above! Enjoy!